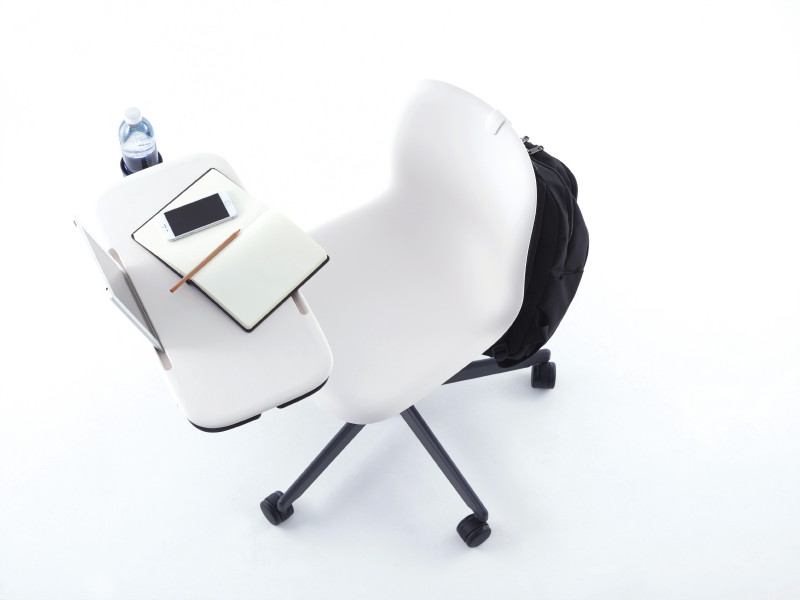 A collaborative chair concept with built-in storage in the personal work surface. 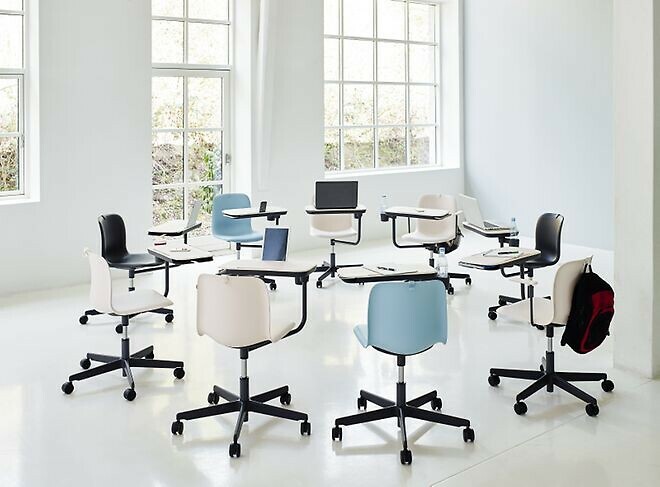 SixE Learn is a collaborative chair concept uniting functional requirements and elegance. 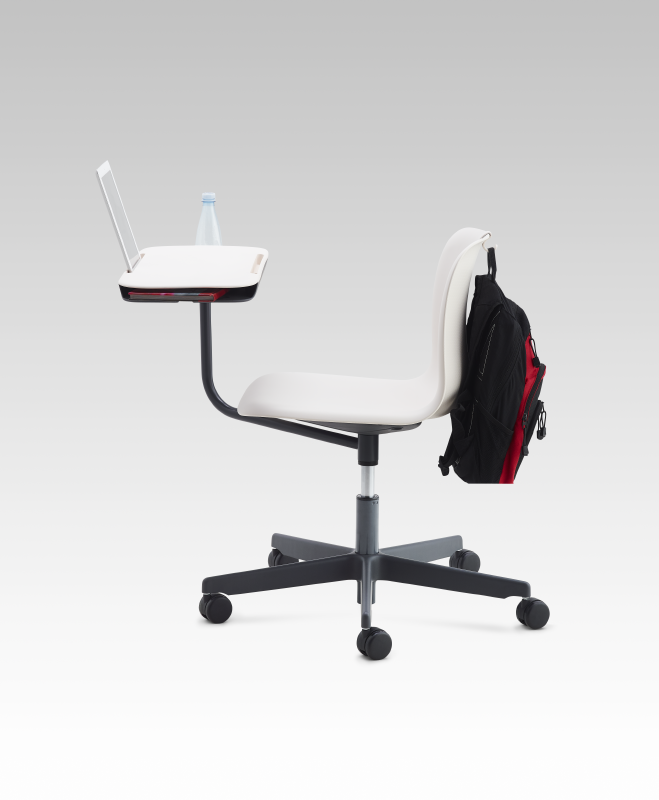 By adding storage into the personal work surface all main materials and devices are available at your fingertips whilst leaving free room for moving your legs below the seat. Features as integrated tablet stand, cup holder, bag hanger all adds to a thought through chair concept for active learning environments.